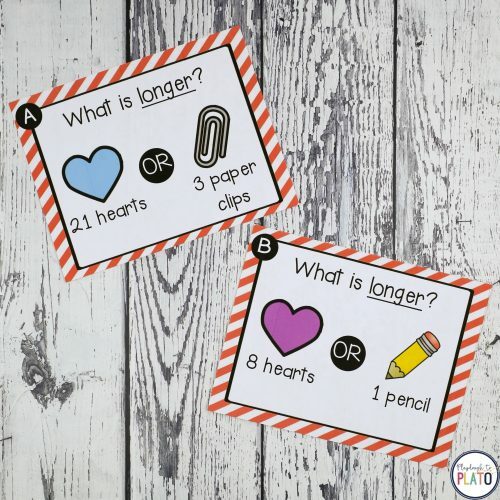 Grab your pack in our shop or on Teachers Pay Teachers! 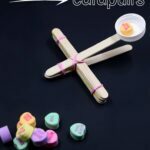 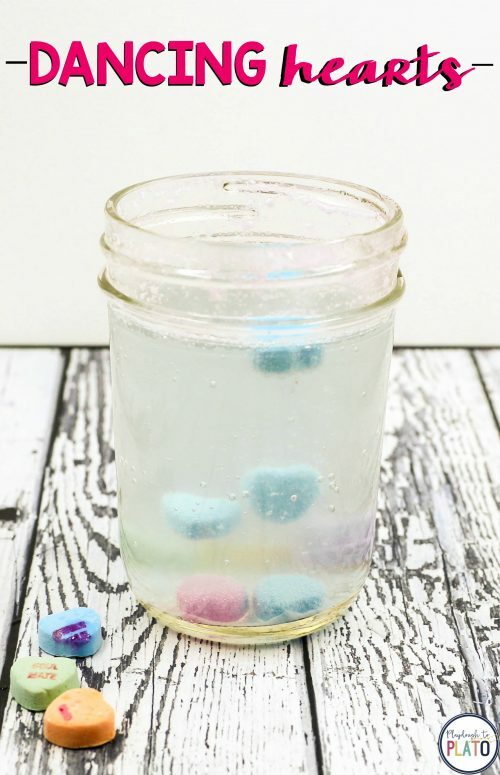 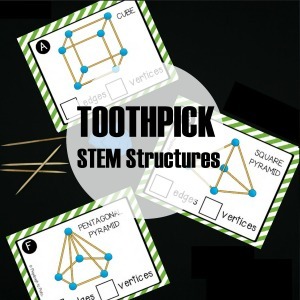 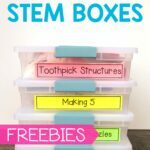 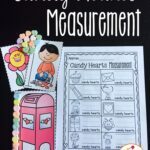 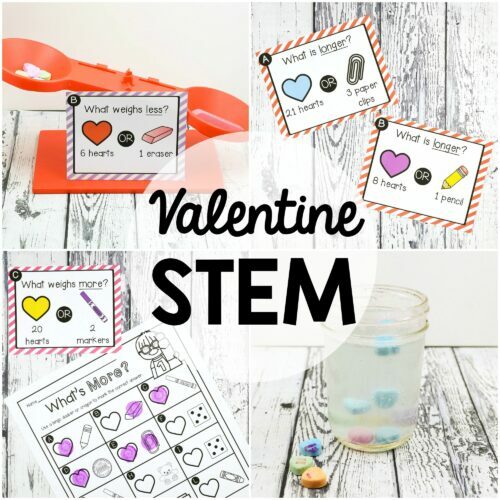 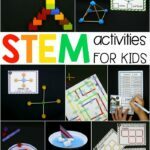 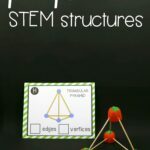 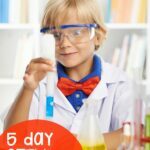 The math and science Valentine’s Day activities are perfect to use in STEM centers, math stations or as early finisher tasks. 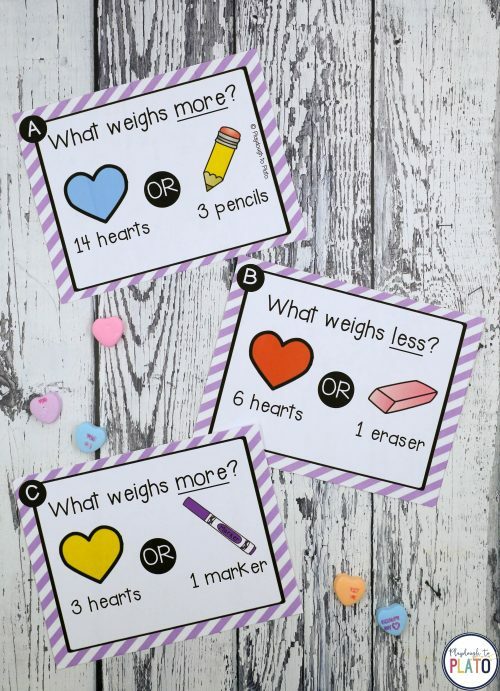 Students will compare 16 different combinations of candy hearts and common class supplies to determine which one weighs more. 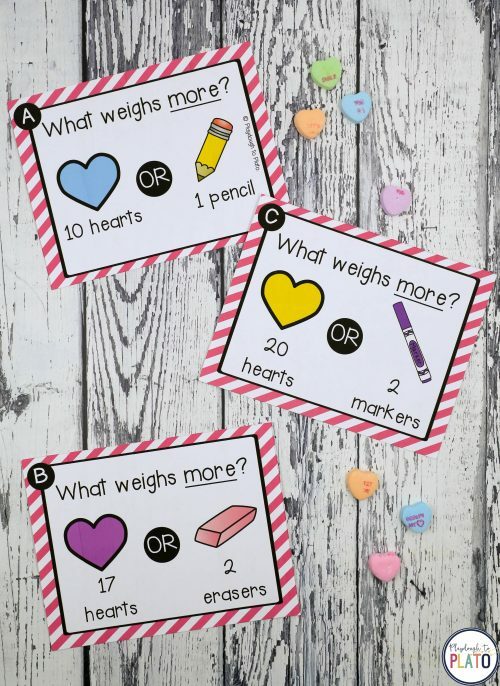 For instance, what weighs more: 10 hearts or 1 pencil? 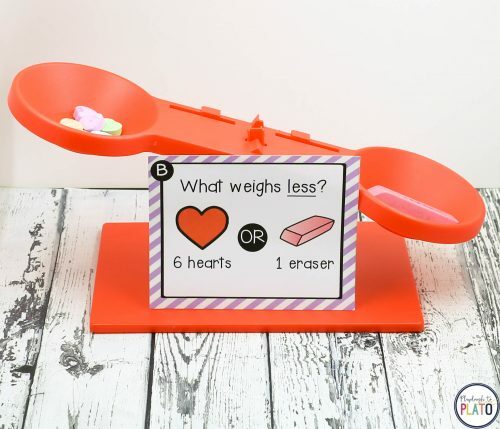 They simply pick a card, place the objects on a balance and record the answer on their record sheets. 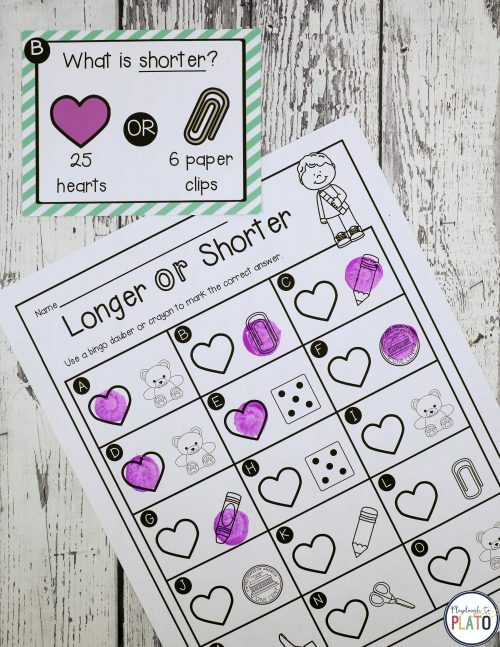 When they’re finished, students can stretch their learning one step further by comparing what’s more AND less. 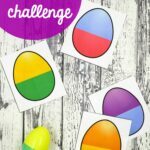 There are 16 of those challenges too! 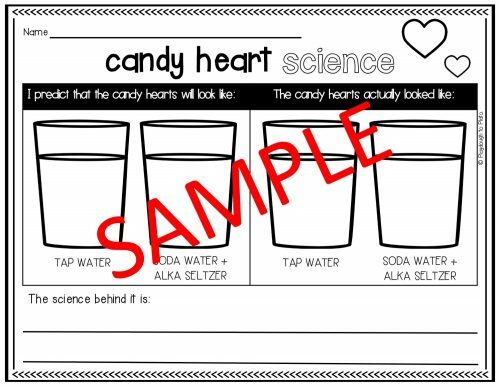 And finally, children will work on making and testing scientific predictions by making candy hearts dance. 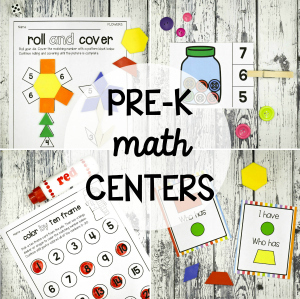 They’ll keep track of their findings on their kid-friendly record sheet. 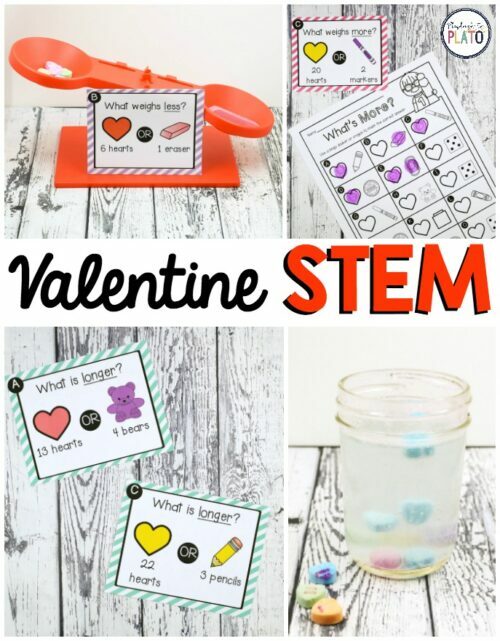 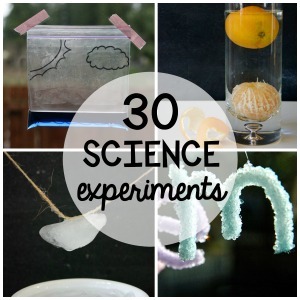 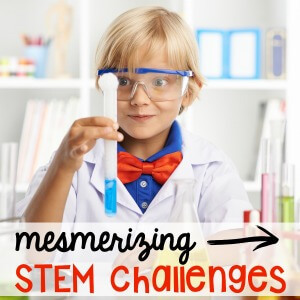 That’s five super sweet Valentine’s Day STEM challenges in all. 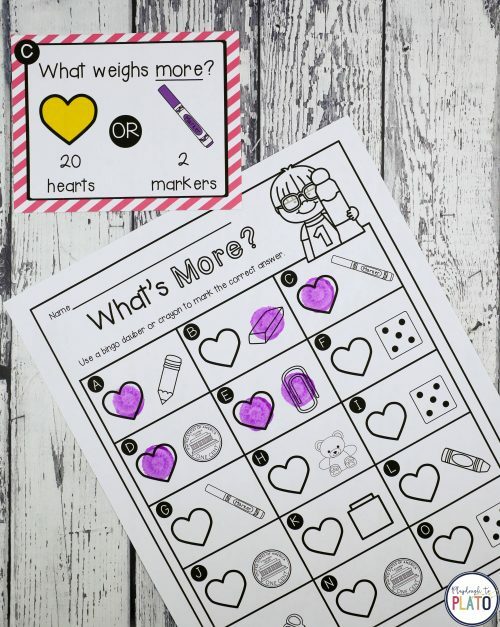 Hop over and snag your set in our shop or on Teachers Pay Teachers!